Not all parties are created equal. With the wide variety of events, festivals and club nights happening every weekend, finding a truly unique dancing experience can be tough. 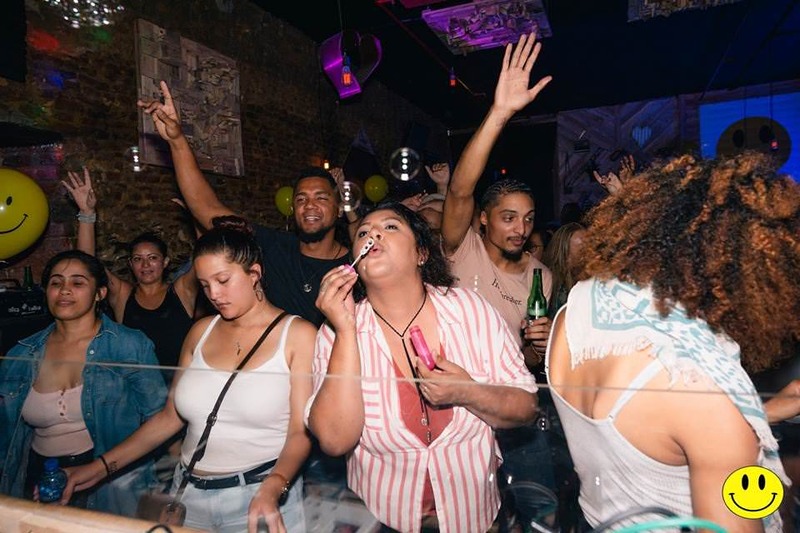 But with intimate gatherings garnering crowds of like-minded, fun-loving punters—creating a sense of community on the dancefloors—we can all embrace smaller venues and be part of the family on a night out. 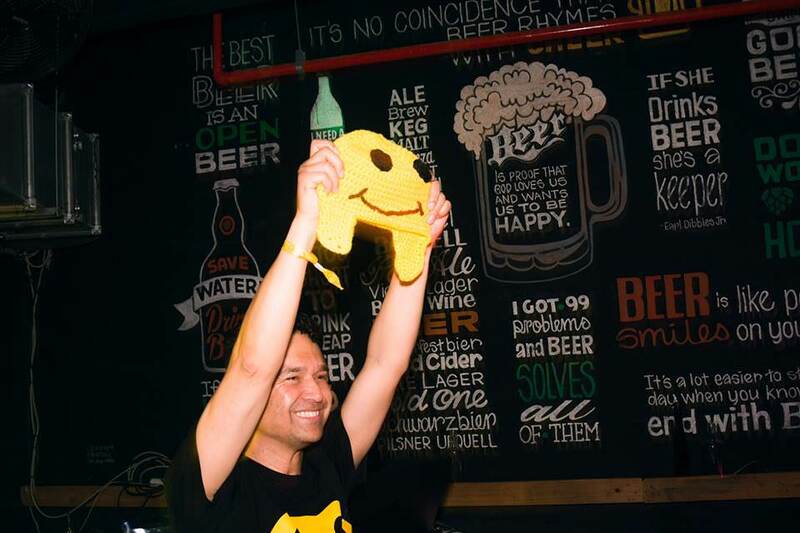 Bringing the unified spirit of ‘90s dance music culture to life is the infectious party aptly named Smiley. 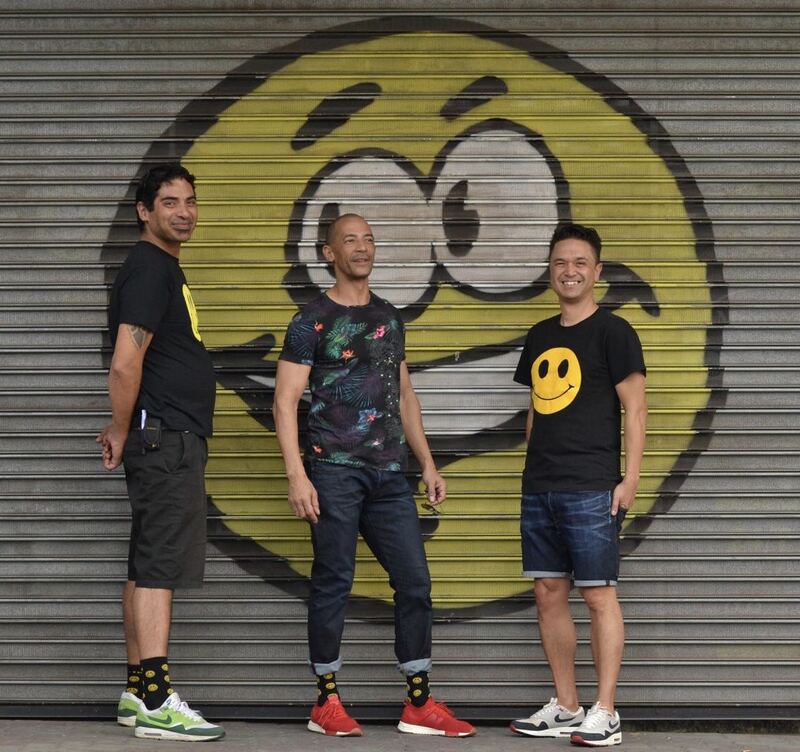 Hosted by events coordinators Rowan Roberts and Wayne Dreyer, and DJ and professional “jaker” Travisto, Smiley has become a much-loved party in Cape Town. For its fourth edition, the trio head to the brand-spanking-new Mash Tun in Woodstock, with DJs Roxcizzle, Leighton Moody, Terrasoul, The Rudeman and DJ Poephol aka Travisto holding it down from 5PM. Taking the seriousness out of the party biz, we had a light-chat with the guys to find out more about their celebration of smiles. You guys have a long running history. What brought you all together? We have been friends since before Pa fell off the bus. We met on every single rave dance floor in the beautifully heady late ‘90s, and looking back now, it seems inevitable that we were going to be lifelong brasse. It's the music that binds us. There once was a party called The Jake, or is The Jake the party? Can you clarify? The Jake was a once-off event that made us see the potential for Smiley. We weren't all involved as organizers, but we were all there with bells on. Also, "to jake" is a colloquial phrase meaning to get down, to gooi mielies, to have a kak lekker time with your chommies until after the afterparty. Travisto, you have been in the side curtains of many a “ding”, namely 5FM and wat wat. What is your background in the music industry? I've worked as a radio producer for on various stations in CT and Jozi. I've also been DJing at my friends' parties since my standard 7 (grade 9, jarre) class party. It's only been in recent years that I've started getting bookings outside of my brasse's lounges. Rowan, you are also quite heavily involved in event production in your own capacity. What do you bring to the fray? I used to make the daltjies at Kadiz in Long Street, you know that lekker smet ones that not even the homeless mense would eat? That ones, ja. But after I met Wayne and Travi, I vowed to changed my ways. They such lekker ouens, they soema sent me to samoosa-frying school. And not just any samoosa-frying school, they sent me to Golden Dish samoosa-frying school. I studied hard and fried my oily little heart out, hoping that one day I would graduate to koesiesters, so that I could fulfill my lifelong dream and become the official koesiester supplier to Ou Smiley. But then some vark introduced Travi to Alex Roman, and the rest, as they say is history. Wayne, you are a familiar face to those who have stood the test of time in the jol. Where did your love for dance music (not necessarily house) begin? My love affair with dance music started a little before Pa fell off the bus and I met these outjies. Back in high school I met these kids who had a mobile disco and technics SLs where I first learned to beat mix on vinyl. I was on the events team at the Cape Town Stadium and before that I was the production manager at Africa's Grandest Gathering—The Cape Town international Jazz Festival. Since then I’ve stayed involved in live music and event production, which eventually helped push Pa off the bus. After many years of “Jaking”, what have you guys learnt? Always take your sunglasses with you. You never know when you'll make it back home. What do you feel has changed in dance culture since the ‘90s? Mostly, laws have changed how and where we dance. In that fairy tale heyday, we would only leave the house after midnight. If there was a big rave we would dance there until they kicked us out, and then we would club hop through the morning, following our favourite DJs from place to place. You can't really do that if all the dance spaces close at 2AM. But the spirit of the rave is strong, those of us who love to smile and dance find a way, or make a way. What does Smiley represent to you in this day and age? 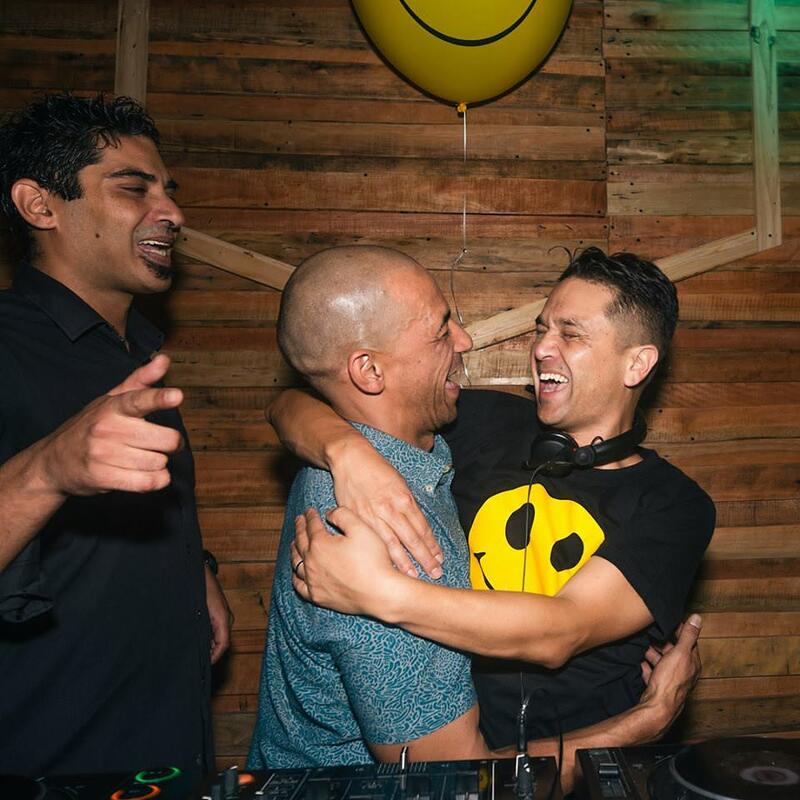 Smiley is a gathering of friends, a culmination of years of loving house music culture, a safe space where we spread love through music, a place where we #comegethappy, mos. Why did Pa fall off the bus though? Still under investigation, he might have been pushed, but that's all we can say for now. What can we expect at Smiley on Saturday? A buncha happy people smiling and dancing and shouting “AUJ?” when the DJs play all the lekker nommers they didn't even know they love. All of that AND Alex Roman's legendary koesiesters. Smiley takes place on Saturday, November 3rd, at The Mash Tun in Woodstock. Tickets available here. Follow Ou Smiley on Facebook. The Mexican festival is shaping up nicely. 150 parties and counting. The funk is back!